Felony charges have been filed in California following an illegal voter effort that bribed homeless people to sign ballot petitions and voter registration forms. A forged signature swapped for $1 — or sometimes a cigarette. The crude exchange played out hundreds of times on L.A.’s skid row during the 2016 election cycle and again this year, prosecutors said Tuesday as they announced criminal charges against nine people accused in a fraud scheme. But...but...Holder claimed there is no voter fraud! How can this be? And in a Democrat-run state, of all places! NEW JERSEY (FOX5NY) - Never short on ideas for things to tax, lawmakers in New Jersey are considering a tax on tap water. The proposal is being floated by State Sen. Bob Smith D-Middlesex, who is trying to say it's not actually a tax but a 'user fee'. California Highway Patrol sergeant Dan Kyle said that officers who worked during the years before the fences were added recalled responding weekly to several fatal collisions between cars and unauthorized immigrants on the highway in San Ysidro. The sign’s image has been the source of controversy, with some seeing it as an offensive caricature of Mexican immigrants. Well, since they're illegal aliens rather than legal immigrants, what's the problem? What's with this nonsense? Everybody knows that voter ID disenfranchises minority voters, so it only makes sense to ensure that dead people aren't similarly disenfranchised from their right to vote Democratic. They've been doing it in Chicago for years with great success. It's like recycling, in a sense. But Voter Fraud Doesn't Exist! INDIANAPOLIS (AP) — Twelve employees of a Democrat-linked group focused on mobilizing black voters in Indiana are accused of submitting fake or fraudulent voter registration applications ahead of last year’s general election in order to meet quotas, according to charging documents filed Friday. If convicted of all charges, each employee faces 2.5 years in prison. The group that employed them, Indiana Voter Registration Project, faces a $10,000 fine if convicted. Not that it matters to me, as I have a passport and passcard, so I don't need to rely on a stupid Oregon driver's license for real identification. The nutty Democratics who've been running the state for nearly four decades have a real antipathy toward the concept, though - so they work hard to ensure that everybody can vote whether they're entitled to do so or not. Our Democrat overlords (most of whom are from out of state, as in, they came here from back east) really hate laws and things like the oath of office. They believe that they should get to pick and choose which laws - if any - they will abide by. So: death penalty? Nope, not enforced by the last two governors despite the fact that they swear to enforce all laws. Sanctuary cities? You bet. Hell no, we won't cooperate with ICE. Amid much crowing and hoopla, they passed a law allowing illegal aliens to get driver's cards - which Oregon voters immediately shot down. Claiming a budget crisis and demanding more taxes, they nonetheless push for "voter-owned elections", in which taxpayer funds are used to pay for political campaigns. Portland City Council passed that, despite being unable to repair potholes in streets. When voters got the chance to give their input via the ballot, they shot that sucker down, too. And yet, politicians are pushing for "VOE2". Voters killed the public employee union-written Measure 97 last year, which would have imposed a tax on corporate gross receipts (not profits). We recognized that it was a sales tax on everything from food to medicine to energy and more. Guess what the Democratics are now trying to impose via legislation? With $1.5 billion more in revenue this biennium over the last biennium, they still claim that there's a $1.4 billion "budget shortfall", so they need more money. No. What they need is to live within their means - and quit looking for ways to steal more of our money. They're considering a bill that would "allow" Oregonians to pay an additional $20 to obtain a driver's license that complies with federal security requirements. No. Learn to adhere to our laws for a change. That's why I renewed the passport; Oregon government simply can't be trusted. And every now and then, I have to take a flight somewhere. Or I might want to drive up into Canada. And as of next year, and Oregon driver's license won't be sufficient for either. But by golly, they're working on offering a "third gender" on Oregon driver's licenses! That's the really important thing. And now they want to take it nationwide. Despite their claims, there is no "growing tide of voter suppression". No boys and girls, if I have to present identification to take a plane ride, to get a pass for parks admission, or to cash a check, it is not "voter suppression" to require the same at election time. Voter fraud, an issue that Republicans have been saying is a larger problem than most think while Democrats have continued to downplay the issue is now on full display. 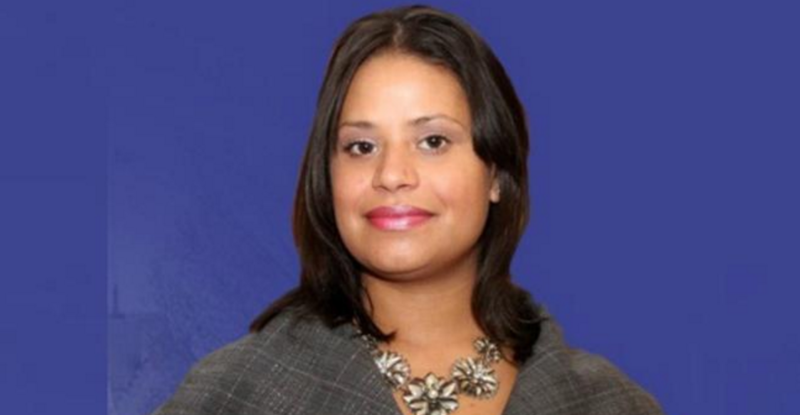 On Friday, Connecticut state Representative Christina “Tita” Ayala, 31 years old, who represents Bridgeport was arrested on 19 counts of voter fraud. The Connecticut State Attorney’s office said that she is accused of voting in various local and state elections where she does not live. But everybody knows this doesn't happen! Democratic keep telling you that you're an idiot if you believe that. Oh, by the way, the Russians stole the election.